Square Taper Interface – This old standard is still the best, most reliable, allows you to use different width bottom brackets to adjust chainline and you have many brands of serviceable bottom brackets to choose from. 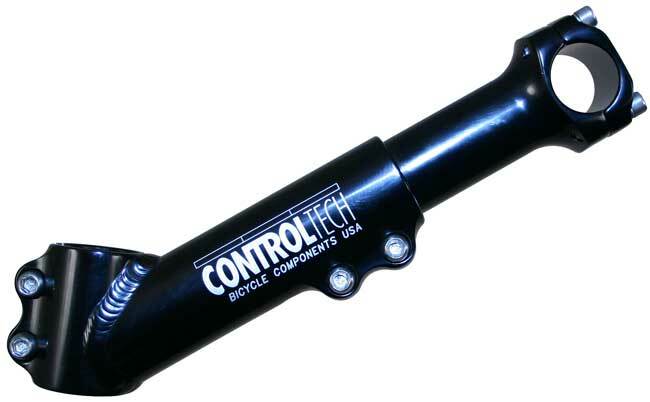 Low Profile Bottom Bracket Spindle – Increases stiffness and reduces weight by using a shorter spindle. -34 tooth Spider/Chainring. This is a replaceable one piece spider/34 tooth chainring. It is lighter, less expensive (no need to buy chainrings and chainring bolts) and perfectly concentric. We spent several tedious months on the design of these brake boosters. Trial and error with sophisticated stress analysis software — shaving a few grams here, adding a few grams there, until we came up with the ultimate design of stiffness and light weight. Big Stiffy (62 grams) for tires over 1.4″. The stiffest big tire brake booster we have experienced. 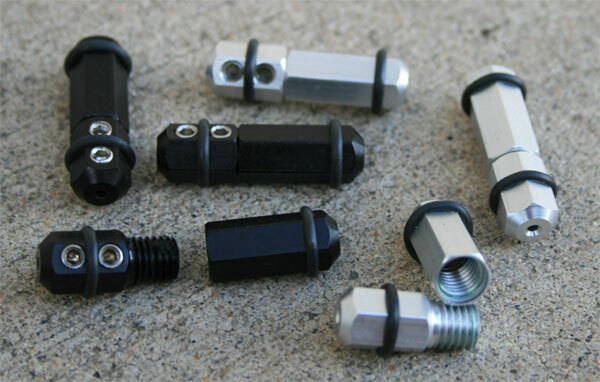 It’s not the lightest, but are you looking for a piece of jewelry for your bike or something to improve your braking? 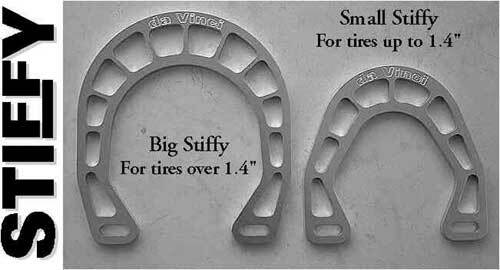 Small Stiffy (47 grams) for tires up to 1.4″. The Stiffest & Lightest brake booster around. If you are running skinny tires, there is no other choice. Easy-Splits also work for quick handlebar conversions. If you have compatible road and mountain shifters and derailleurs, as well as compatible brakes. You could easily switch between road and mountain bars for different types of riding. It is a good idea to replace your set screws when you replace the cables, or with the 2nd time you replace the cables. Only use a good sharp 2mm Allen wrench (Hex key) to reduce your chances of rounding out the set screw. * Rims are now black with machined sidewalls. 26″ V-23 rims 36 spokes (more than enough for these rims) or 700c V-23 rims w/ 40 spokes. Professionally hand built with Spoke Prep to reduce spoke loosening and pre-stressed (spokes are over-tensioned by hand to pre-stretch them). Also to reduce maintenance. And for the gram counters – 840 grams Front – 1060 grams Rear – Not bad for full blown tandem wheels, ready for years of trouble free service. 27.2mm and 28.6mm shims for 29.8mm post are available. Shims to fit different diameter seatposts or handlebars above. Click to download full size pdf drawing for sizing. Please print full size. 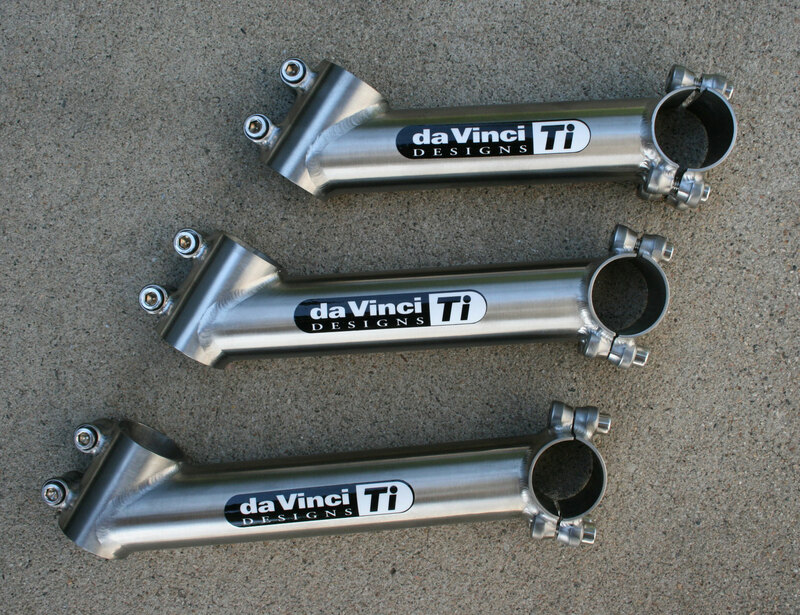 Fits 31.6mm Seatpost and 31.8mm OS handlebars. Shims for 27.2mm or 29.8mm seatposts above. Shims for 25.4/26mm or 7/8″/22.2mm handlebars available above. 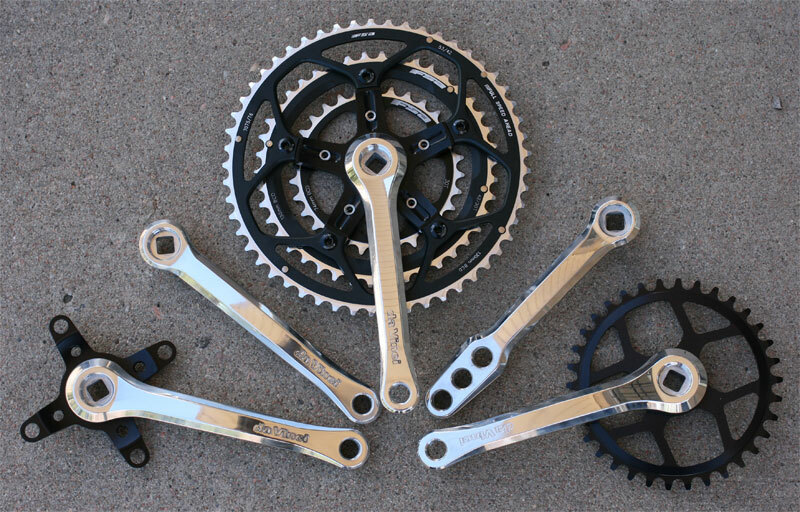 If you have a custom Extra long rear top tube, order a “Drive Chain 124 Links” for the front timing chain. 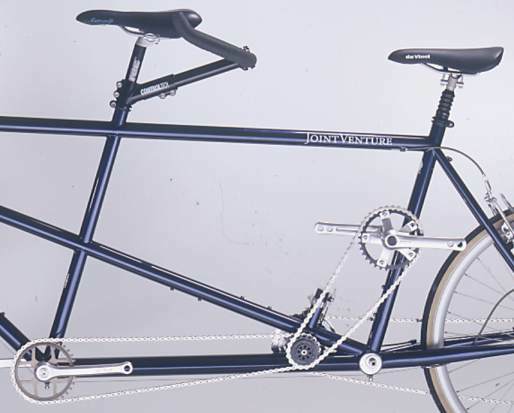 If you have chainstays longer than 17″(43cm) or a rear cassette with a cog bigger than 36 tooth, please contact us for a drive chain longer than 124 links. Replacement Intermediate Shaft Bearings (Need 2 per bike) 6903 2RS sealed cartridge bearings. S&S Coupler, Double spanner, pedal wrench.